With the continual growth of digital business and online ordering many businesses and entrepreneur’s need a safe, cost effective and flexible facility to store their stock and to manage their mail order distribution. Whether a small start up or a larger business – selling goods online is a great market place, and one Easistore is ideally set up to support. 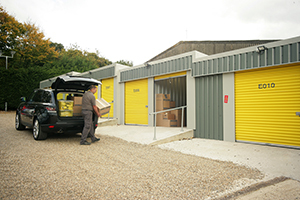 With our totally flexible business storage facilities in Crawley, Edenbridge, Maidstone and Tunbridge Wells – we have just the right sized storage space to enable you to efficiently manage your distribution. Whether using Amazon, eBay or direct you can have goods delivered into Easistore, as well as have your couriers and logistics providers collect from us 7 days a week. Our Climate Control Systems ensure your goods remain in perfect condition. Our systems automatically heat your storage area in the winter, and ventilate it in the summer. 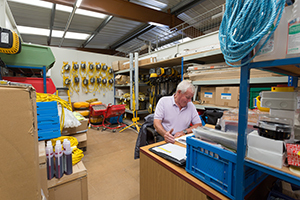 You are Free to upsize or downsize your distribution unit at any time – so dependant on your stock level needs, the growth of your business or any seasonal variation – we can always provide you with the optimum, most cost effective space. Additionally you are Not committed to expensive, lengthy leases – you can choose to rent your space for just a few weeks or months or as long as suits your business. All of our Stores feature smart and impressive Reception and Customer area’s with hot and cold drinks and WiFi – and are perfect for meeting Customers and Suppliers. 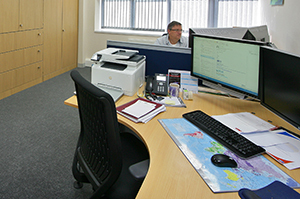 Many of our Mail Order Distribution customers also rent an Office Suite from us – as they find it economical and effective to run their entire operation from our facility. We have fork lift trucks and a wide range of trucks and trollies available on site to ensure the quick and efficient loading and unloading of goods. Our Stores are managed by knowledgeable and enthusiastic management teams, who would be delighted to show you around and explain how we can assist your business today!